Free State softball players hold up their championship trophy on Friday, May 25, 2018, at Arrocha Ballpark. Free State High School posted a strong season across the board this past school year, claiming a historic team title in the process. 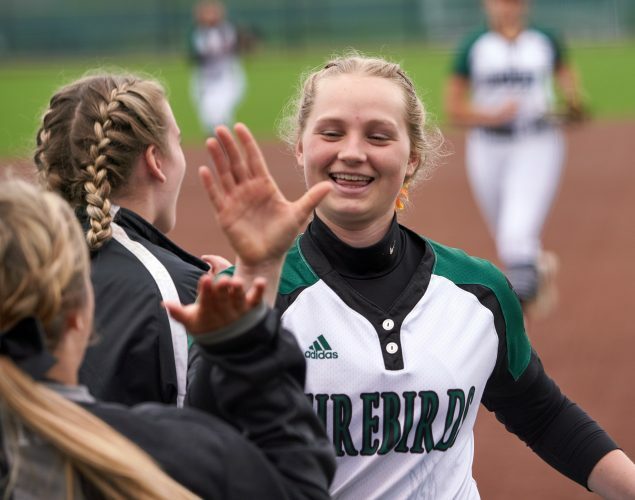 The softball team, which was seeded eighth in the state tournament, won its first title in program history with a stellar showing during a weekend in May. Free State athletic director Mike Hill, who will step down after 10 seasons, talked about some of the highlights from the latest season. 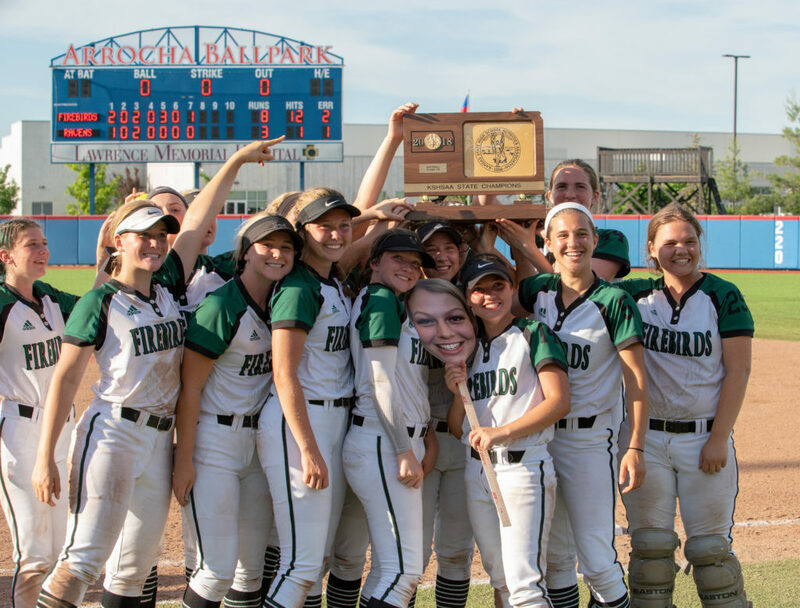 The Free State softball team secured the lone crown during the 2017-18 season with a remarkable run. Free State bested No. 1 Blue Valley, 2-1, in the first round via late homers by freshmen Georgia Rea and Sara Roszak. 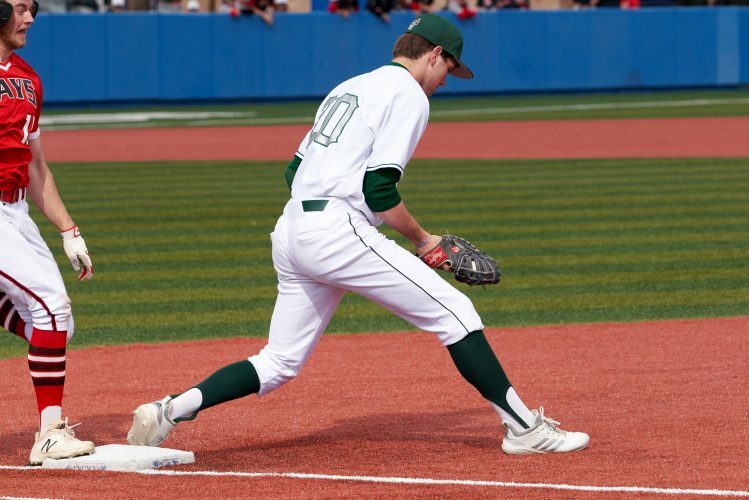 The squad advanced to the title game with a 2-0 win over Washburn Rural before claiming an 8-3 decision against Olathe Northwest in the championship. Freshman Tatum Clopton, who appeared in just seven games before the state tournament due to shoulder soreness, recorded 25 strikeouts in 21 innings during the final weekend. Clopton, an Oklahoma State verbal commit, was named to the Class 6A first team for her performance in the circle. 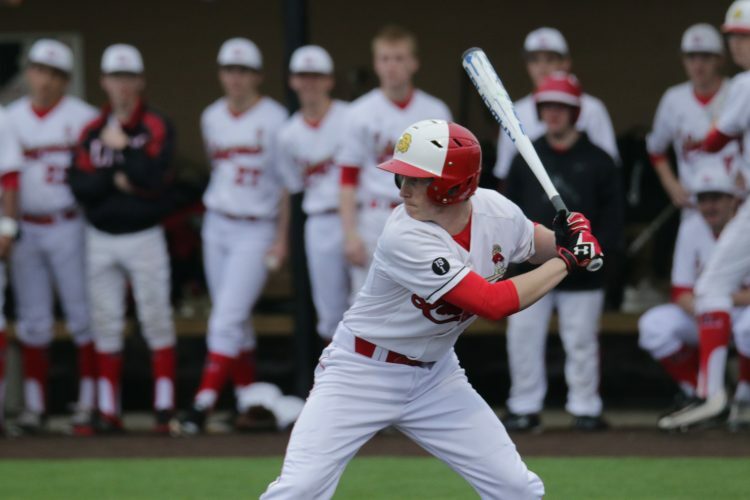 Roszak also netted such honors after pacing the Sunflower League with a .619 batting average. It was clear from the start that it was going to be a special year for FSHS. Free State’s football team rattled off 10 straight victories before suffering a 55-49 overtime loss to Derby in the 6A quarterfinals. Head coach Bob Lisher was named the Sunflower League Coach of the Year after guiding the Firebirds to a 10-1 record. The volleyball team posted a 25-10 recorded, ultimately falling in the sub-state championship. The girls tennis team took fifth at the state tournament behind the doubles tandem of senior Ali Dodd and freshman Keegan VanPelt, which placed sixth. The girls cross country squad claimed seventh at the state meet, as junior Julia Larkin medaled for a third time by finishing 14th. The gymnastics team notched ninth at state, in which freshman Talia Gay ended up placing second in the all-around rankings. The boys basketball managed to reach new heights by advancing to its first-ever state championship. Despite a late rally, Free State dropped a 51-40 decision to Blue Valley Northwest in the title match. The Firebirds finished with a 19-6 record, capturing their second consecutive Sunflower League title. 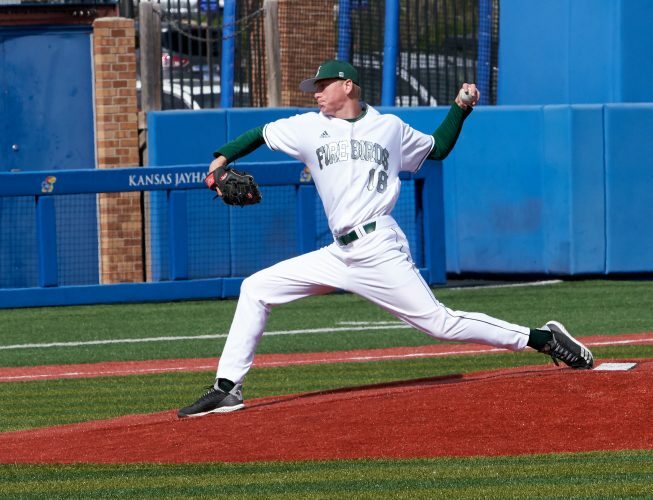 Sam Stroh was named the league’s Coach of the Year and Garrett Luinstra, a walk-on at the University of Kansas, was tabbed the Player of the Year. In addition, senior Evan Eskilson won a state title in the 100-yard backstroke with a time of 51.06. His first such crown helped the boys swimming team place fifth at the state meet. Meanwhile, senior Elijah Denmark registered third in the 195-pound class at the state wrestling meet. 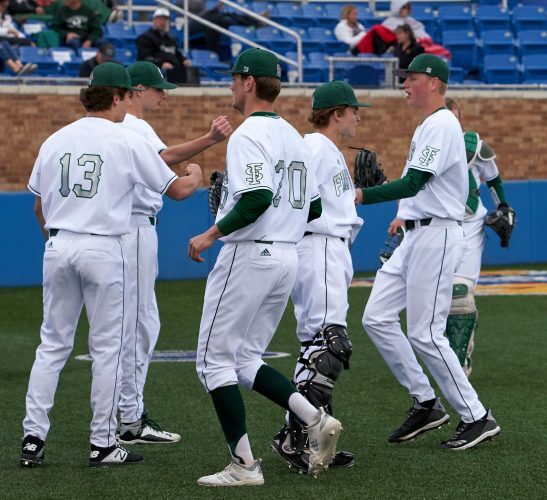 Hill’s baseball program posted a strong finish to the 2018 campaign, winning 11 of the last 13 contests. The Firebirds finished with a 16-7 record after another trip to the state tournament before falling in the 6A quarterfinals. The girls swim team claimed runner-up at the state meet with an impressive showing from multiple swimmers. Senior Claire Campbell wrapped up a pair of state titles in the 200 freestyle and the 500 freestyle with a time of 1:49.74 and 4:57.64, respectively. Campbell was one of five Firebirds to earn two individual medals along with Payton Krug, Ainsley Krug, Ava Cormaney and Kasey Dunn. 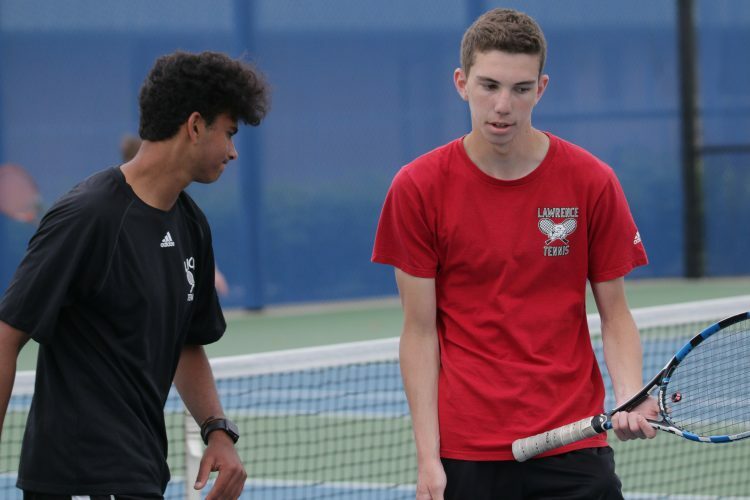 Free State senior Erik Czapinski and junior Trey Melvin placed fourth in the doubles bracket at the state tournament, lifting the boys tennis team to a fourth-place finish. The boys golf team registered sixth at the state tournament. Senior Cameryn Thomas claimed three medals at the state track meet, including a third-place finish in long jump.